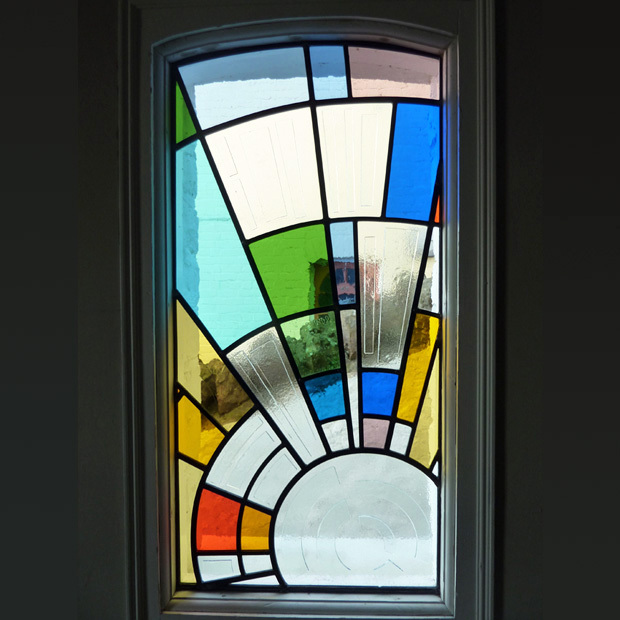 This leaded light window, made with handmade and textured glass has been designed to diffuse the view outside. 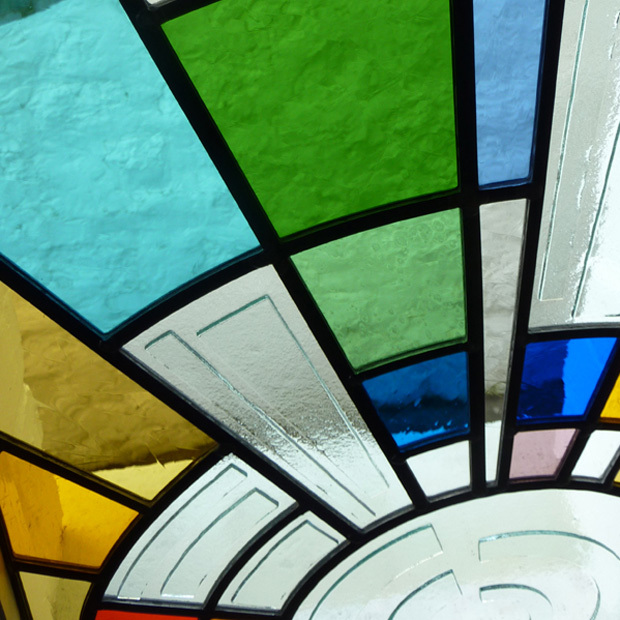 To give the window an extra level of interest in the larger areas we created fused pieces to accentuate the shapes. The window measures approx 400 x 700mm.